This article originally appeared in SABR's "The Team That Time Won't Forget: The 1951 New York Giants" (SABR, 2015), edited by Bill Nowlin and C. Paul Rogers III. On July 10, 1951, the National League defeated the American League, 8-3, at Detroit’s Briggs Stadium. It was the 18th All-Star Game played and marked the first time the National League had won in successive years. Stan Musial, Bob Elliott, Gil Hodges, and Ralph Kiner all homered for the NL, setting a one-team All-Star Game record. Vic Wertz and George Kell of the hometown Tigers homered for the American League. The combined six home runs by the two clubs was also an All-Star Game record. 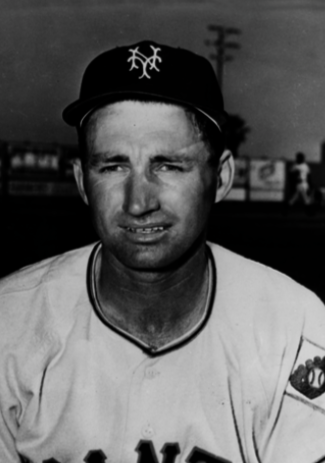 The two AL home runs came in the third inning off the Giants’ Sal Maglie, who had replaced starter Robin Roberts. Maglie was the least effective of the four National League pitchers, allowing two runs and three hits in his three innings. Nevertheless, the NL took the lead during his stint, and Maglie was the winning pitcher. He became the first (and only) New York Giants pitcher to win an All-Star Game. Although the Giants were in second place at the All-Star break, they had received very little support from the fans choosing the All-Star lineups. Only one member of the Giants, shortstop Alvin Dark, was chosen to start the game. Dark had one hit in five at-bats, a seventh-inning single off Detroit’s Fred Hutchinson. He had three assists, no putouts, and no errors, before being replaced by Pee Wee Reese in the eighth inning. As the manager of the defending NL champion Philadelphia Phillies, Eddie Sawyer managed the team and he picked the reserves and the pitchers. He chose no Giants position players, and two pitchers, Maglie and Larry Jansen. Jansen saw no action. Get your copy of our book on the 1951 New York Giants in e-book or paperback format. Click here to read all SABR bios from the 1951 Giants team.